Dustbusters is a well established, locally based business which has been part of the Clevedon community for more than 14 years. We have been growing steadily over the years and we currently work with a number of commercial estate and letting agents across Bristol and North Somerset. Our services are also available to private landlords. 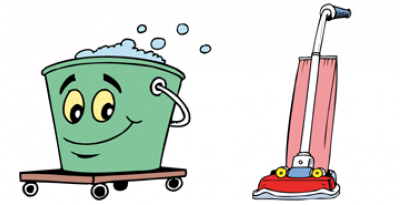 As with our domestic service we offer a high quality cleaning service and we may even be available to help at very short notice (subject to availability). No matter what state the house has been left in, we will endeavour to bring it back to its former glory and ensure it shines throughout. The team of talented cleaners, who have been with Dustbusters for a number of years, are well versed in turning homes around at the end of a letting or prior to the new arrival of new tenants. Where required we are also able to offer an ongoing partnership to provide a regular service to ensure that cleanliness and our high standards are maintained. Based in Clevedon we cover the areas of North Somerset including Weston-super-Mare, Backwell, Nailsea, Portishead and Pill. We cover many aspects of cleaning and we have a friendly and reliable team offering the upper most professionalism. As we have more than 14 years experience in the cleaning trade and we can offer a free no obligation quote you can be sure that we are the company for you to trust, today.